Library meeting rooms are designed and intended for use in support of library programs and services. 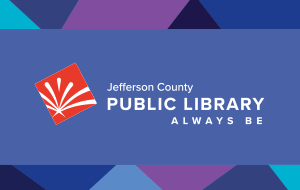 As part of its mission, Jefferson County Public Library makes meeting rooms available for public use for the presentation and exchange of information. To book a meeting room, call 303-235-5275 or ask at the library. Meeting room requests will be processed on a first-come, first-served basis. Meeting rooms are free of charge and can be booked 60 days in advance. Meeting rooms are available for use only during regular library hours. Groups may bring in equipment for coffee, tea and simple refreshments. Catered meals are permitted but are not allowed to be cooked on the premises. Meeting room users may not charge for attendance, sell products or solicit business. Meeting room users must give at least one week notice to cancel a meeting room reservation. If the party who reserved the room does not show up 30 minutes past the reserved time, staff may allow others to use the room. Meeting rooms are not available for social functions. Children of those attending meetings should not be left unattended in the library during meeting room use. Groups reserving meeting facilities are solely responsible for obtaining appropriate insurance and any permits or licenses required by any governing entity for their specific activity. Permission to use meeting rooms does not constitute an endorsement by the Library of the group’s policies or beliefs. The library reserves the right to cancel or refuse the use of meeting rooms at any time. Publicity materials, invitations, fliers and press releases must clearly indicate the sponsoring group or organization and may not list or imply the Library as co-sponsor of an event. Publicity materials, invitations, fliers and press releases may not list library telephone numbers as contact information, without the express permission of JCPL. JCPL does not publicize community or business events held in our meeting rooms.